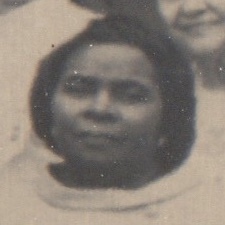 Carrie Bolens was an African-American Unity leader who we believe is one of two unidentified women shown in the 1969 ordination photos. She is not listed as being ordained by Unity. 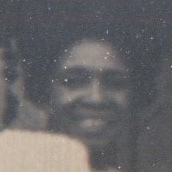 She is one of the two persons displayed above. The other person is Violet Assam. If you can identify which photograph goes with each woman, please contact me. I invite anyone who is related to Rev. Carrie Bolens or who has any information about her to post a comment to this page or to contact me at mark@truthunity.net.